If you want to witness the glorious past and the cultural beauty of India then touring the golden triangle of India is a must. Adding Golden Triangle with Udaipur tour with the tour of Rajasthan would be cherry on the cake which would not only give you an enthralling experience but also a memory that you will cherish forever. 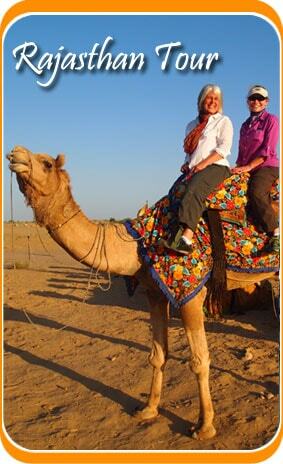 This journey would encompass the most popular tourist attractions of India – Delhi, Jaipur, Agra and Udaipur. Witness the whole package of Indian royalty by visiting cities like Agra and Udaipur which stand for Mughal and Rajputana culture. Hope you have a safe a journey. Enjoy!! The ravishing Ranakpur Jain Temples. The historical City Palace at Udaipur. Our representative would assist you to the hotel and rest for the day. You'll witness the charming history and culture of Delhi and would be truly a mesmerizing journey. Venture into the historical charms of the Capital of India which is a potpourri of the old India and new. Take a trip to the archeological wonders of Old Delhi by visiting places like Red Fort also known as Laal Quila, not forgetting the Jama Masjid. Coming to the British India, visit the Parliament house and the Memorial of Mahatma Gandhi and watch India attain its modern form. India gate would be your next stop. Check in to the hotel and stay for the night. Proceed towards Agra by covering a 4 hour journey by road. 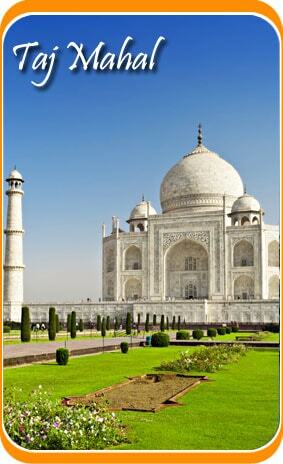 Do the necessary check in procedure and go about your tour of Agra-the Mughal City. Visit the memorial of Mumtaz Begum- the Taj Mahal a mausoleum built in white marble. Go ahead and visit the beautiful Agra Fort, highlights of which include the Diwan-i-Aam and the Diwan-i-Khas among others. Our last stop would be the Itmad-ud-daula’s Tomb locally known as Baby Taj. Start with your road journey towards Jaipur which would approximately take 4 hours. En-route we’ll visit the City of Fatehpur Sikri, also a UNESCO World heritage site. Other attractions of the place include Buland Darwaza, Jama Masjid, Hiran Minar and the tomb of Salim Chishti. After reaching Jaipur, check in to the hotel and rest for a while. You can visit the local markets of Jaipur famous for its handicraft material. Stay overnight at the hotel. This day would be completely dedicated to the trip of Jaipur- the Pink City, starting with Amer Fort and the exciting ride to the hilltop at elephant back.Baradari Pavillion, Sheesh Mahal, Ganesh Pol are other locations we will be looking out for. Now, visit the great Jaigarh Fort famous between photographers for a full view shot of the city, which is just few kilometers away from Amer. Another famous destination is the Jal Mahal Located in the middle of a lake called Man Sagar Lake. Visit the epic Hawa Mahal also known as the Palace of Winds famous for its Jharokhas or small windows. Look out for Chand Mahal, which till date sustains the royal family. Live the life of a Royalty with the royal wagons of the British Era. Stay at night at the hotel in Jaipur. Located beside the shimmering Lake Pichola, Udaipur City is one of the most beautiful cities of India. After reaching Udaipur, check in to the hotel and complete other formalities. Witness the grandiosity of Aravali Range and watch nature at its best. Udaipur is famous for its beautiful lakes being the centre of attraction for a long time Lakes that we cover include-Lake Pichola, Lake Swaroop Sagar and Lake Fateh Sagar. Your journey would now proceed towards Ranakpur which is a 2 hour journey from Udaipur by road. Ranakpur is famous for its huge and princely Jain Temples. It is also one of the major Jain pilgrimage sites in India. One of the major attractions of tourists here is the Chaumukha Temple, known for its architecture and the peaceful environment and is dedicated to the first Jain propounder Adinath. Later, return to Udaipur and explore the city furthermore by visiting places like Bhartiya Lok Kala Museum or the Udaipur Folk Museum. Also visit the beautiful Maharana Pratap Memorial. Stay at the hotel for the night. Catch a flight from Udaipur airport for Delhi. Stay overnight. Your Golden Triangle with Udaipur tour ends here. After a light breakfast catch a flight to your home country.